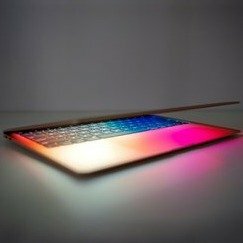 Amazon.com offers the Apple MacBook Air Latest Model for $1199.99. Features: The most loved Mac is about to make you fall in love all over again. Available in silver, space gray, and gold, the new thinner and lighter MacBook Air features a brilliant Retina display, Touch ID, the latest-generation keyboard, and a Force Touch trackpad. The iconic wedge is created from 100 percent recycled aluminum, making it the greenest Mac ever.1 And with all-day battery life, MacBook Air is your perfectly portable, do-it-all notebook.